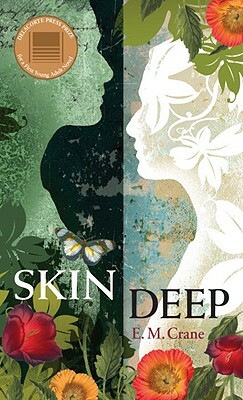 Winner of the Delacorte Press Prize for a First Young Adult Novel. If all the world’s a stage, Andrea Anderson is sitting in the audience. High school has its predictable heroes, heroines, villains, and plotlines, and Andrea has no problem guessing how each drama will turn out. She is, after all, a professional spectator. In the social hierarchy she is a Nothing, and at home her mother runs the show. All Andrea has to do is show up every day and life basically plays out as scripted. Then one day Andrea accepts a job. Honora Menapace—a reclusive neighbor—is sick. As in every other aspect of her life, Andrea’s role is clear: Honora’s garden must be taken care of and her pottery finished, and someone needs to feed her dog, Zena. But what starts out as a simple job yanks Andrea’s back-row seat out from under her. Life is no longer predictable, and nothing is what it seems. Light is dark, villains are heroes, and what she once saw as ugly is too beautiful for words. Andrea must face the fact that life at first glance doesn’t even crack the surface. E. M. Crane lives with her husband and daughter in Sackets Harbor, New York, where she is a full-time writer.